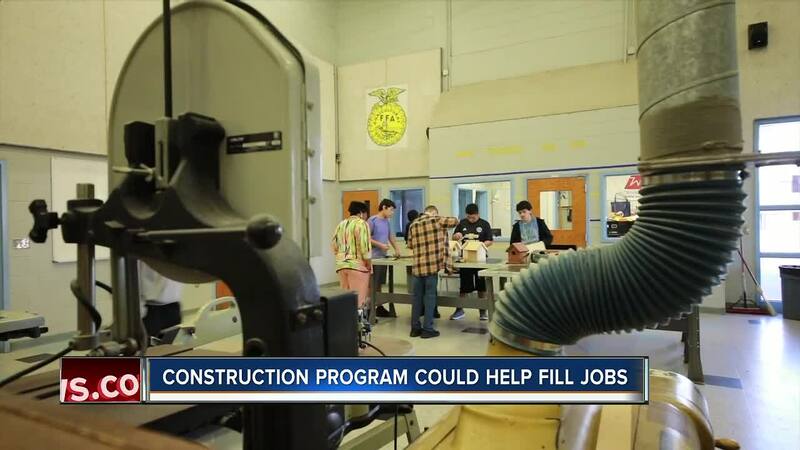 Polk County schools launched a brand new program this school year intended to teach students more about life in construction. EAGLE LAKE, Fla. — Polk County schools launched a brand new program this school year intended to teach students more about life in construction. Not only is this an opportunity for students, but according to Polk County Builders Associations contractors will be benefiting too. Over the phone, David Adams, with Polk County Builders Association said the mom and pop building companies are retiring, while newer and less-skilled builders are coming in to take over. This is sparking the need for more skilled-workers and many of them. ABC Action News also learned the Polk County Building Department issued about 35,000 permits last year. That averages out to just under 3,000 job sites a month. This year, Lake Region High School in Eagle Lake took on the challenge of training their students for construction. While not all of the students are interested in going into construction, they do get real-world experience learning how to use power tools, measure and meet with contractors to learn more about the industry. Nicholas Maze, a junior, says the class is right up his alley. "Yeah this is exactly what I want to do, I’m glad I chose this class," Maze said. "Hopefully it can find me a job." Frank Waller, the program's teacher says in just a few years he intends to make it a four year program so students are able to walk out of school with enough experience to go directly into construction. "We really have a small amount of people that are left in the field and they are starting to retire out and there’s not a lot of new blood coming back into it," Waller said. Ridge Community and Tenoroc high schools have also added introductory courses that will help prepare students for careers in residential or commercial construction. Eventually, the programs will develop into full-fledged career academies.